We live in a world where the word “insurance” is a norm. Protecting your most precious assets is an important step in cementing a solid financial plan. 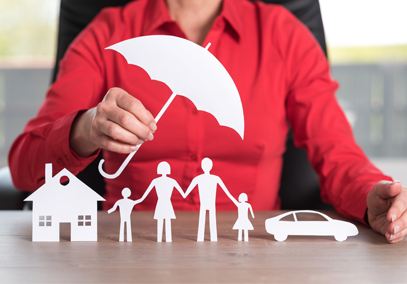 Having the correct insurance policies goes a long way in safeguarding your possessions and your loved ones. We discuss the insurance policies you shouldn’t be without. Funeral insurance is a necessity for any family and anyone with a job. The costs of planning a funeral tend to be quite high and this applies to all races and cultures. What was once an affordable sendoff is now an expensive burden for many families. Having proper funeral insurance in place will assist in alleviating financial hardship. Whether you’ve just started driving or happen to be an experienced driver, you need car insurance. You can't buy a new car without having insurance and with the rate at which accidents occur on our South African roads, you can’t afford not to have it. The costs involved in fixing a car can be avoided thanks to comprehensive car insurance. The soaring costs of medical care are enough reason to make health insurance a necessity. A simple visit to the doctor can result in a hefty bill and serious injuries that result in a hospital stay can be double if not triple the amount. It’s no question that the best healthcare in our country is private healthcare as this comes with receiving quality service. You can compromise on a lot of things, but your health shouldn’t be one of them. Pet Insurance will pay, partly in some cases the total amount for veterinary treatments for the ill or injured pet. With some policies, an amount is paid out when the pet dies or if the pet is lost or stolen. Insurance companies offer comprehensive hospitalization and surgery cover as well as having prescribed medication cover. Having life insurance guarantees protection for the loved ones that are financially dependent on you. You can get ten times your yearly salary in Term Life Insurance coverage. By doing so, your loved ones can invest the insurance payment and live off of the interest. This means that your parents, spouse, children and extended family members will be taken care of financially.